Long time readers may remember this sorry quilt. If you want the back story, you can find it here. 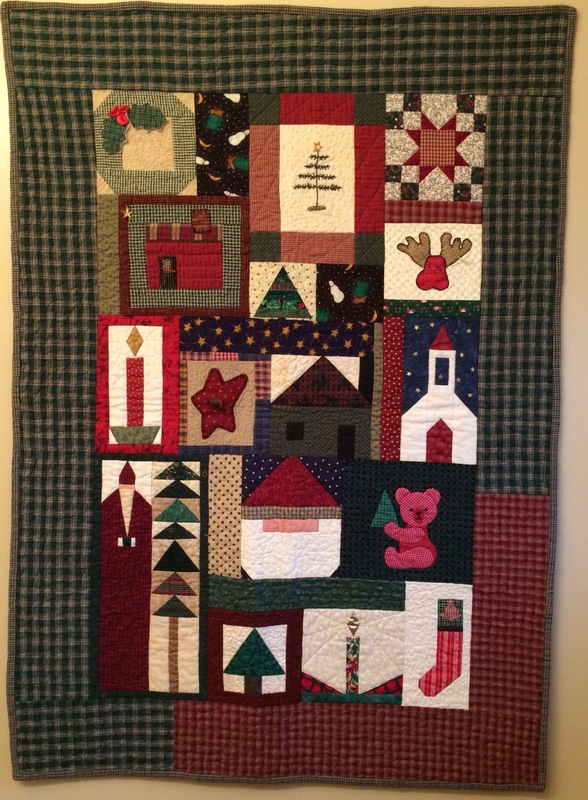 It’s a sad looking quilt and hung in my bathroom every Christmas for many years. Last year, I gave it to Daughter #3 when she told me how much she loved it. The other night she sent me this photo of it proudly hanging in her living room. 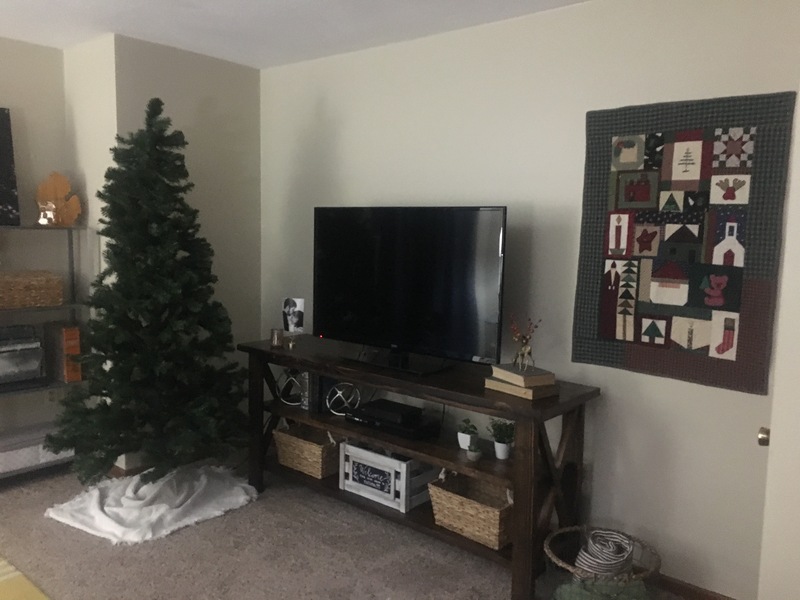 Yes, she is already decorating for Christmas! She also sent this to her sister, Daughter #1. A few minutes later, I received this text from Daughter #1. So, I went to JoAnns and picked up these. Time to make another bathroom quilt! That is so funny! Gotta love it, though! 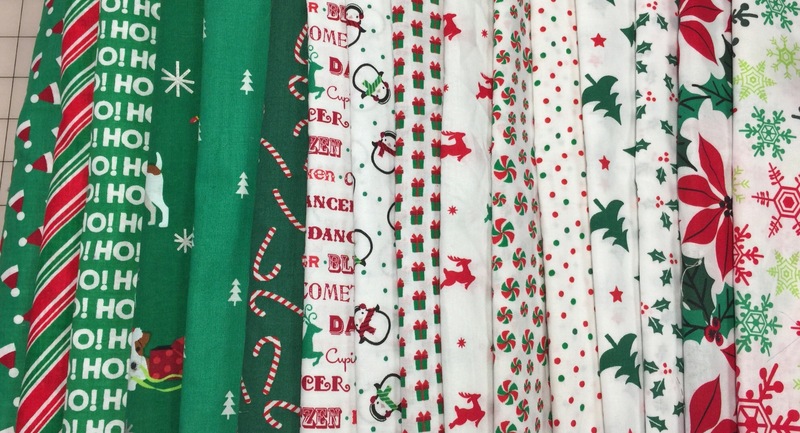 I think a Christmas quilt for each of your children might be in order, or you’ll get the same question again. LOL! Oh my. How funny is that! LOL! Love, love, love it; imperfections and all! Anyone can have a PERFECT quilt; not many can have a family treasure like this. 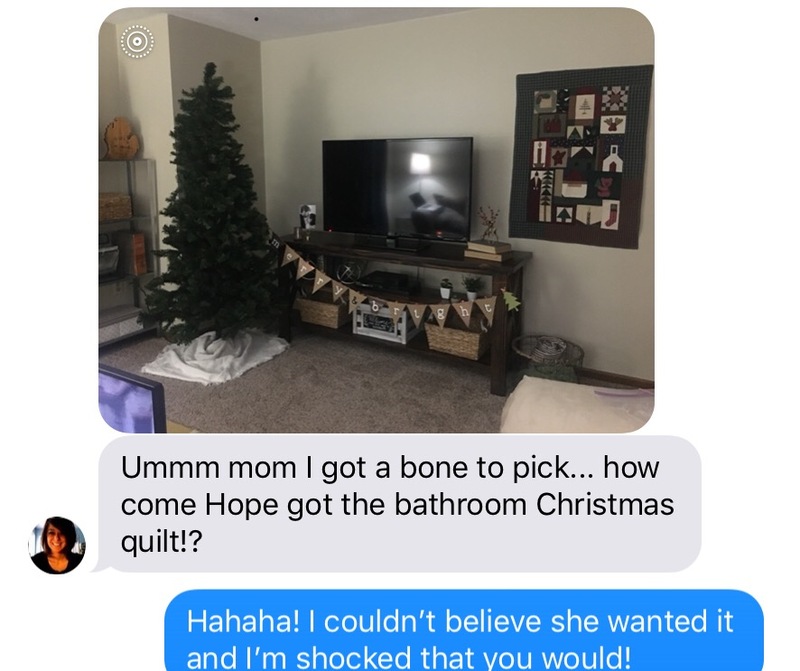 Chuckling as I read this, knowing that my brother and I would’ve done the same thing with my mom, especially dubbing a name like “bathroom quilt”. Haha. Thanks for sharing, Katy!